They may be small but they pack a lot of comfort for the price. 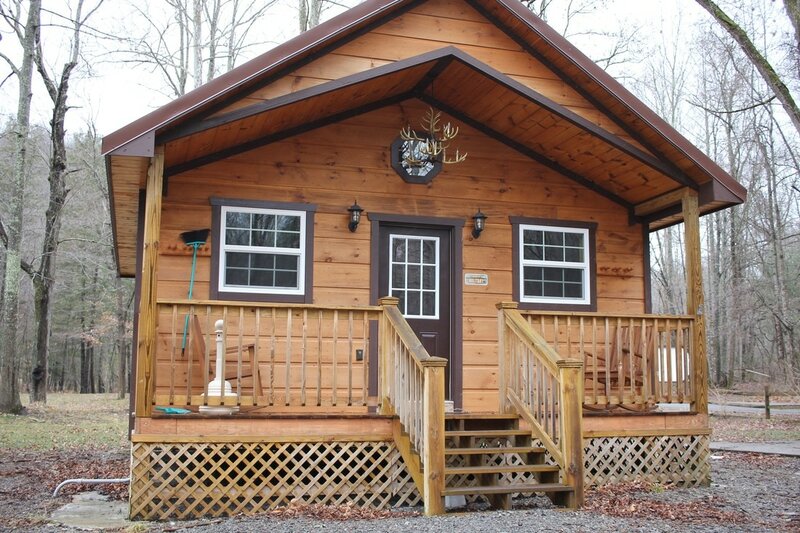 The perfect cabin for the guest who doesn't need a lot of extra. A short walk to the Elk River, Elk Springs Fly Shop and Ellie May's Ole Mill Restaurant. 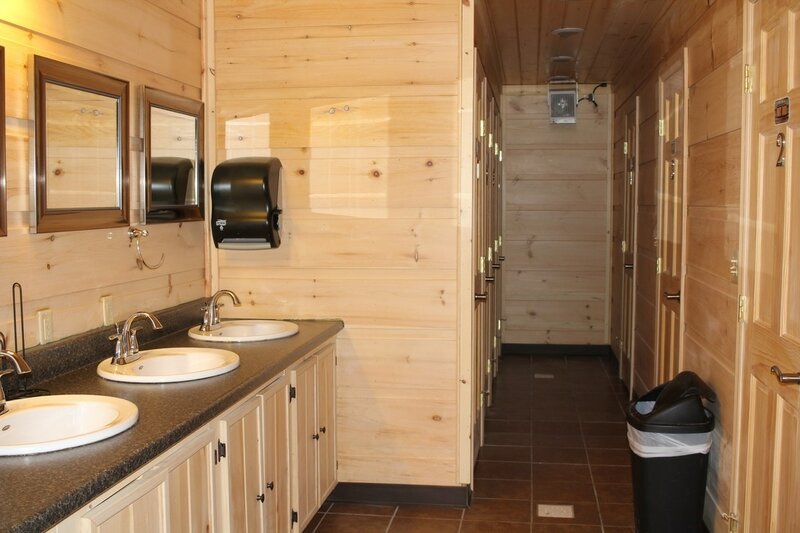 A shower house with private keyed shower and toilet for each individual cabin, no cabin shares with another. 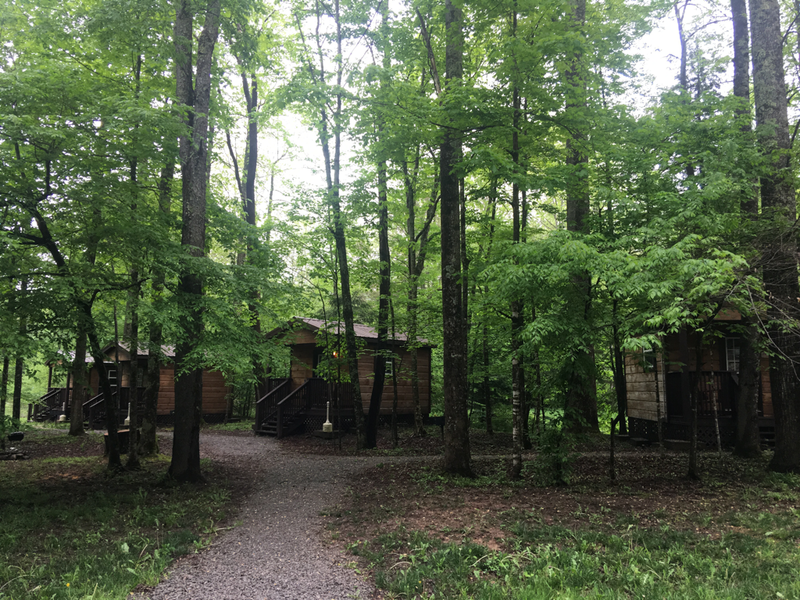 The Mini cabins sleep up to two people with two twin beds and the Maxi cabins sleep up to four people with two full beds. Bed linens are provided, but bath linens are not. 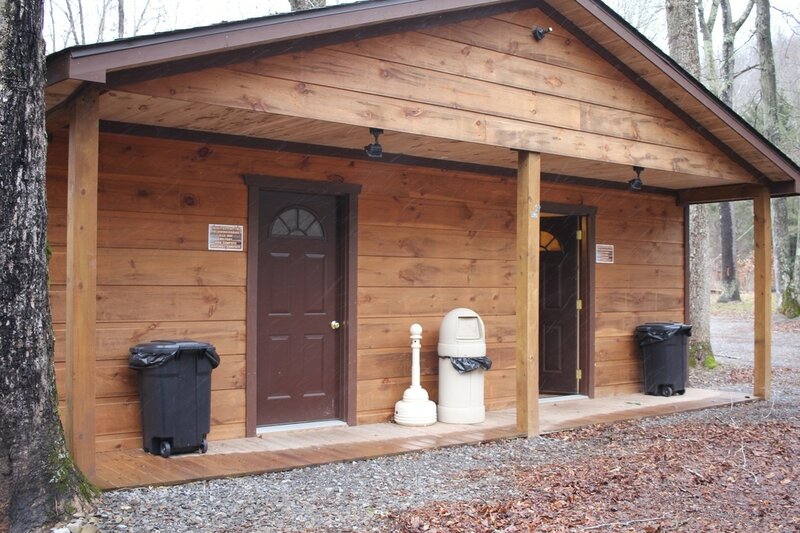 Cabins have a small front porch, ceiling fans, heat and electric. Outside, you have fire rings and charcoal grills. NO running water inside. NO air conditioning. NO tv. NO microwave. NO fridge. NO coffee pot. NO phone. NO wifi. 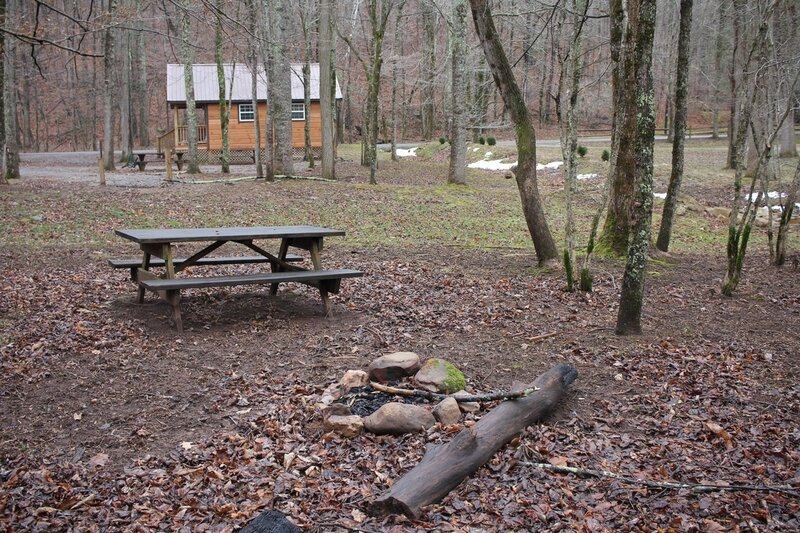 The nicest PRIMITIVE cabin you will ever see! 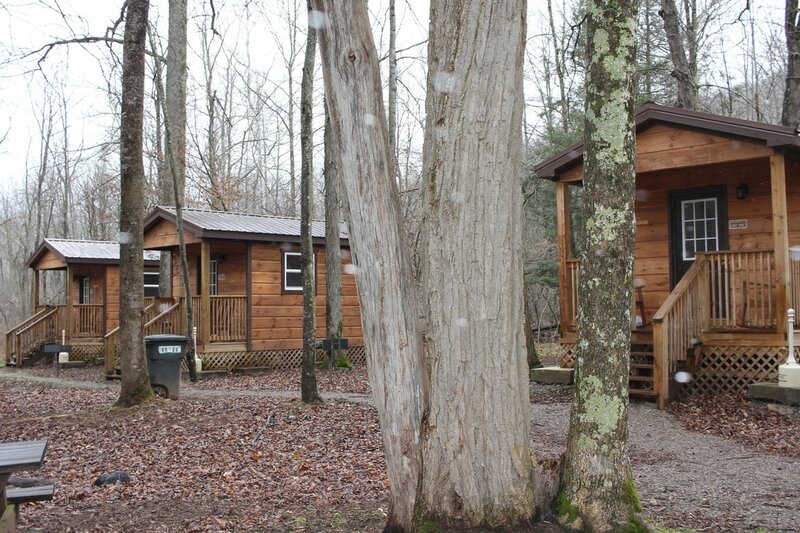 These small one room cabins sleep up to two people with two twin beds. 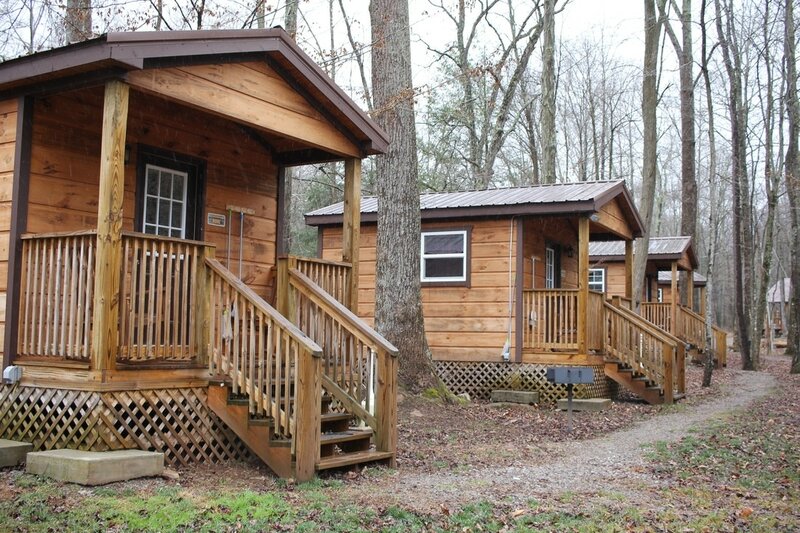 These small one room cabins can sleep up to 4 people with two full size beds.